DukeEngage empowers students to address critical human needs through immersive service by providing funding for Duke undergraduates who wish to pursue an immersive (minimum of eight weeks) service experience by meeting a community need locally, domestically or internationally. DukeEngage offers programs in Beijing and Zhuhai. DukeEngage empowers students to address critical human needs through immersive service, in the process transforming students, advancing the University’s educational mission, and providing meaningful assistance to communities in the U.S. and abroad. DukeEngage provides funding for Duke undergraduates who wish to pursue an immersive (minimum of eight weeks) service experience by meeting a community need locally, domestically or internationally. 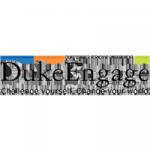 DukeEngage was launched in 2007 through the establishment of a $30 million endowment from The Duke Endowment and The Bill & Melinda Gates Foundation. The program has benefited from the additional support of a growing number of generous and devoted alumni and friends. These projects and others have taken place in more than 50 nations around the world. During the summer of 2011, more than 400 Duke students participated in either DukeEngage group or individual programs across the globe. For more information, visit the section of our web site detailing our current Immersion Programs. Beijing: Students teach in a school for migrant children who have moved from rural areas throughout China to Beijing, and work on other service projects related to migrant issues in and around Beijing. Zhuhai: Students partner with a middle school to provide arts education.